The perfect gift for any proud grandparent! This large capacity McGill mug is holds 16oz , has a red exterior and white interior. 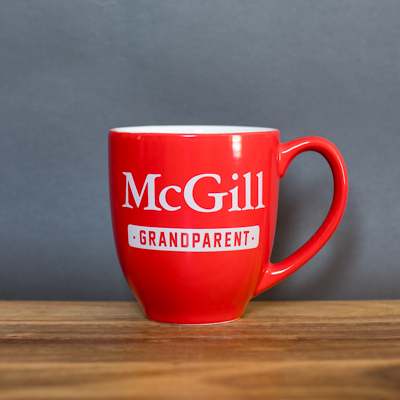 McGill grandparent decal front and back, Dishwasher and microwave safe.